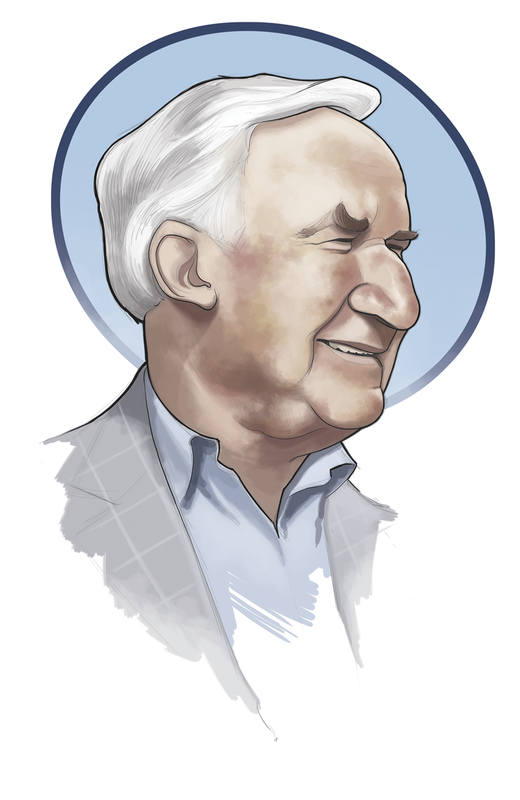 ILLUSTRATION: NOAH KROESE: Lindy's Sports Annual 2015: Basketball! It's late August. Which means kids of all ages are being dragged back to school, the Summer is quickly waxing, and it's time for some marathon illustrating for "Lindy's Sports Annual". Since I no longer attend school and I'm sick to death of hot weather, the latter is the only item I'm excited about. This time around the court, we were talking coaches and Australia. As is usually the case, these were all turned around fairly quickly. It's a challenge I enjoy and also dread a bit, mostly because it puts me through the ringer and because I don't have time to do much revising. But that's sometimes for the best. All these illustrations (six people spread over three illustrations) were done in the course of two days. First up, the coaches. 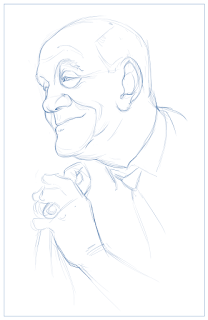 Dean Smith and Jerry Tarkanian left us recently (both in February). 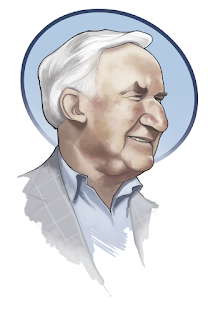 "Lindy's was including profiles of both legendary gents, and I was asked to draw portraits to accompany them. 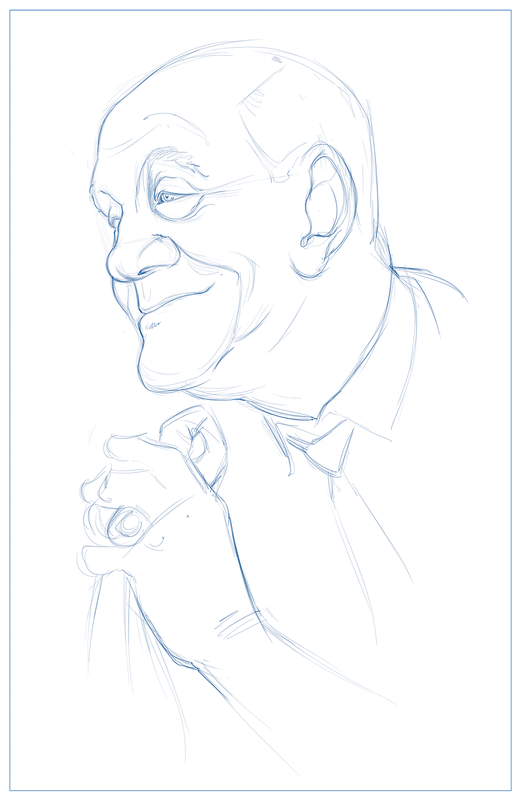 As far as the illustration goes, the Dean Smith drawing is fairly standard fare as far as my work is concerned. 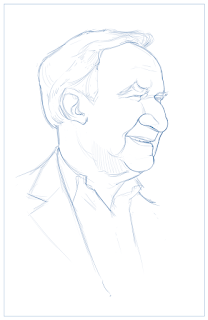 I approached it the way I would have approached just about any other caricature. But I wasn't happy with it. The drawing is fine, but something about it seemed boring to me. Probably because I did the same thing I always do. 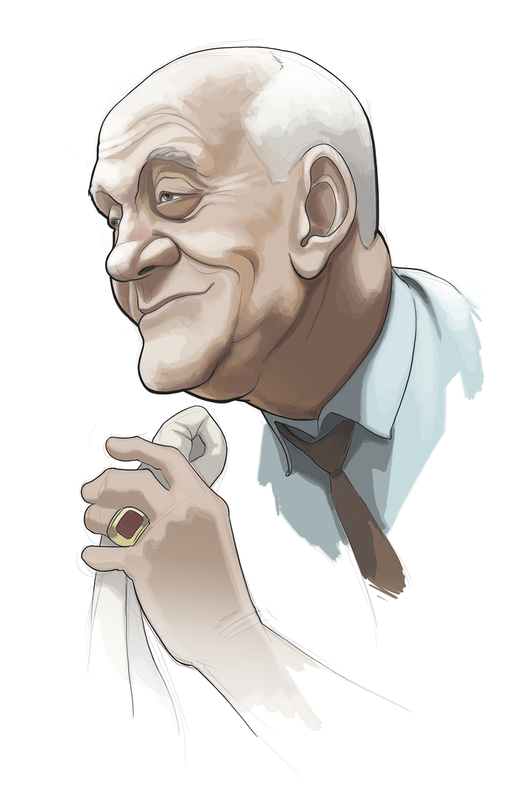 So, when the time came to color and shade the drawing of Tarkanian, I went out on a limb and tried something different. I used a different method of shading that involves more solid colors and harder lines. I also switched up the line weights somewhat. The result was a portrait that looks more illustrative, I think. It's clear that this is a drawing done by hand. I think it's a little more expressive and has more personality than the Smith drawing. It took me about the same amount of time, but it was a lot of fun to experiment. A little nerve-wracking because I wasn't sure it would turn out and didn't have time to re-do it if it was awful, but fun nonetheless. 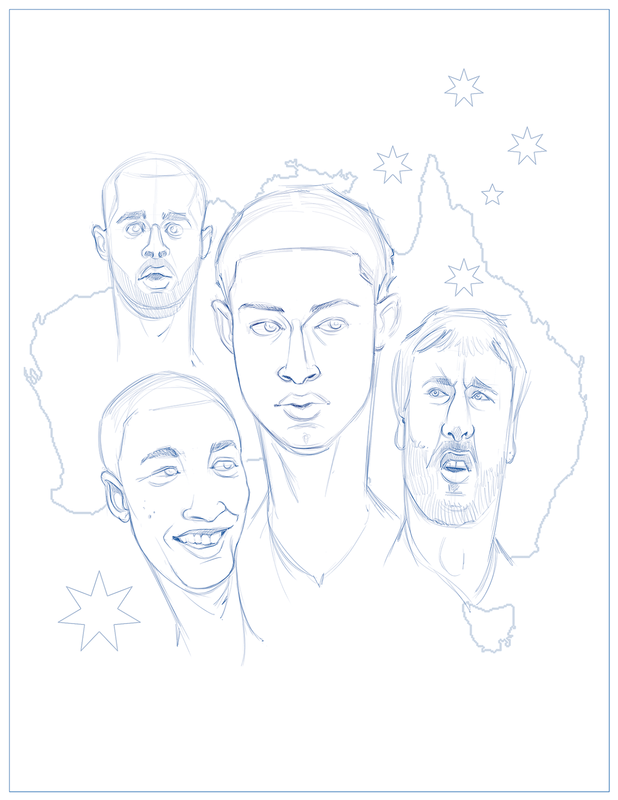 The other illustration was to accompany a piece about a spate of basketball players from Australia. 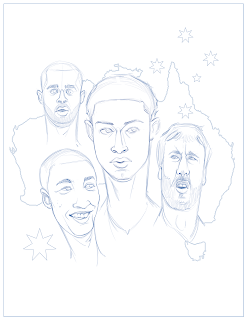 I was asked to draw multiple players superimposed over something Australian. I chose the country itself, 'cause it don't get much more Australian that Australia. Hey, you want some deep, pithy metaphor? You grind out this much work in two days and see how clever you feel. 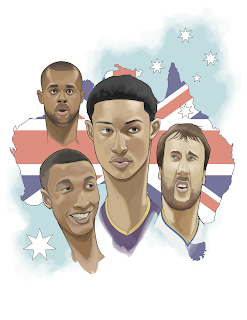 The players are Ben Simmons, Dante Exum, Andrew Bogut and Patty Mills. The layouts on this one are a little more expressive, too. 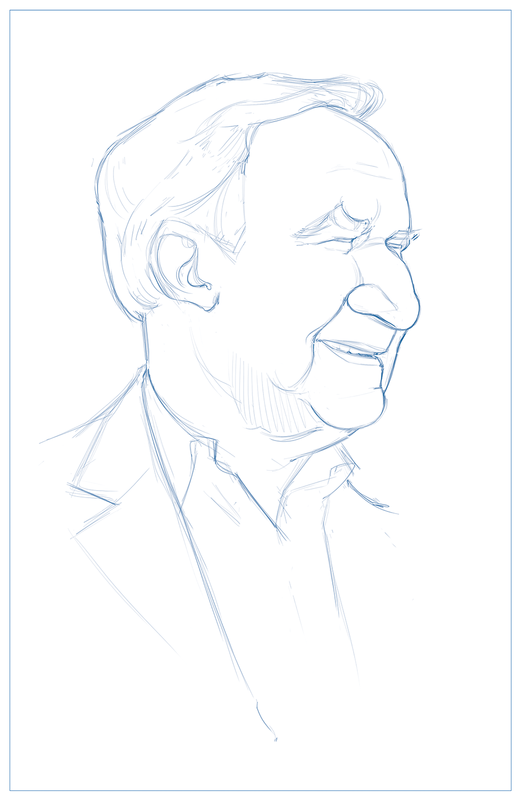 They're not meant to be exactly likenesses (which is what I normally draw). I let myself be a little more loose with this one. Again, I think it makes it more expressive and gives it a bit of a sense of humor. I used the same shading techniques on the Australia piece that I used on the Tarkanian portrait. Again, I had more fun than I would have using my more traditional approach and I think that benefited the illustration. I'm going to try to implement this style a little more in the future. And who knows, maybe even try some other unfamiliar techniques. Because I'm a loose cannon. Overall, this set was great good fun. I'm always happy to work with "Lindy's", however fast the deadline.